Serving other people is a central attitude that God seeks to build in every last one of his children. An attitude of joyful service is learned behavior; it does not come quickly and easily. As you imitate Christ in the way you treat other people, you will get in tune with God’s mission for your life. His love for us is unconditional. Living a life in servant-love shows God’s love to others. 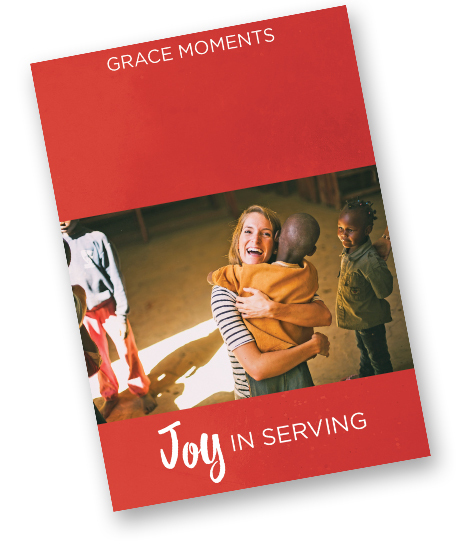 Successfully added GRACE MOMENTS: Joy in Serving to your cart.